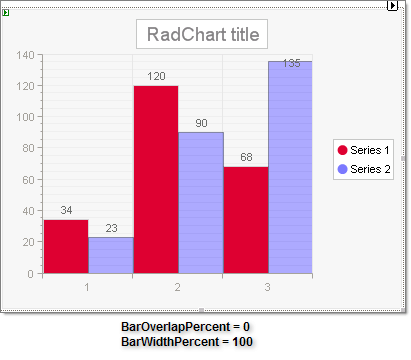 In bar charts with multiple series BarOverLapPercent governs to what degree the bars will overlap the preceding bar series. 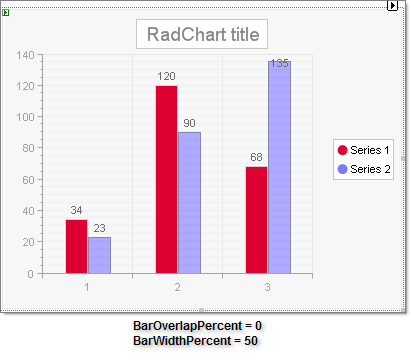 If you enter a negative value for BarOverLapPercent, a gap appears between the bars of different series. Overlapping is especially useful when a long series of items needs to fit in a small-size chart. 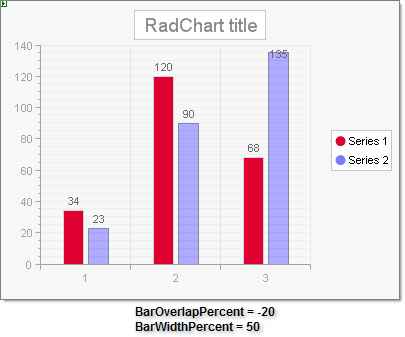 BarWidthPercent controls how much space each bar takes up so that a BarWidthPercent of 100 will have all the bars in the chart taking exactly all the available width. 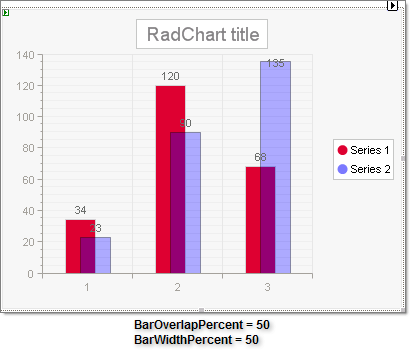 The maximum bar width is calculated as follows: bar width = axislength / bars count . See the examples below to see how these two properties work together.